Sri N.K. Pareek, General Secretary, Central Bank Officers' Association, Rajasthan, President, All India Central Bank Officers' Federation and Dy. General Secretary, All India Bank Officers' Confederation retires on - 30th June. Mr. Pareek had also served as Officers Representative Director on the board of Central Bank of India. 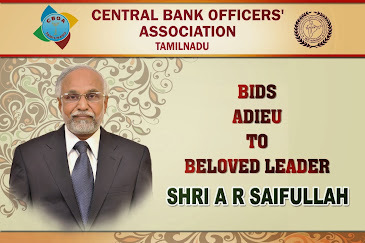 Central Bank Officers' Association, Tamil Nadu remembers his service to the officers' movement in Central Bank of India and wish him a happy and peaceful retired life. To make education loans cheaper, a scheme was finalised Thursday to provide full interest subsidy on the loans taken by students with annual family income below Rs.4.5 lakh to pursue technical and professional courses. The format for the scheme was finalised after a meeting between the Human Resource Development (HRD) ministry and the Indian Banks' Association (IBA). "The scheme provides interest subvention to students for the period of their course. The interest for this period will be paid to the banks by the government," a ministry official said. The Canara Bank was finalised as the nodal bank for IBA member banks to claim the subsidy amount reimbursement. The scheme, which was approved by the cabinet last year, provides interest subvention to students with annual family income below Rs.4.5 lakh for the period till there course finishes. It will provide interest subvention from the academic year 2009-10. "The moratorium period also covers the time taken by the student to get a job, or one year, whichever comes first," the official said. The scheme will be valid for all loans from scheduled banks for pursuing courses in professional and technical streams from recognised institutes in India. "All eligible students who wish to avail the benefits should approach the respective bank branch from where they availed of the education loan and complete the necessary formalities, including obtaining the certification in respect of annual family income from the competent authority at the local level," the official said. The individual student accounts will then be credited with the interest due on the loan for the academic year 2009-10 onwards, the official added. The scheme is effective for all IBA-approved educational loans. Most bankers have indicated that they will keep their base rate between 8 per cent and 8.5 per cent, up to 5 percentage points lower than the existing prime lending rate. The bankers said this even as they awaited a clarification from the RBI on concessional loans, such as farm credit. The base rate, to come into effect from July 1, will replace the existing Benchmark Prime Lending Rate (BPLR) — which varies between 11 per cent and 13.5 per cent for public sector banks. Base rate, the lowest rate that the bank can charge from a customer, is intended to bring about more transparency in lending operations of banks. "It (base rate) could be in between 8-8.5 per cent," Canara Bank Chairman and Managing Director A C Mahajan told. "We have already indicated that the base rate would be between 7.5 per cent and 8.5 per cent," SBI chairman O P Bhatt said. Last week, banks had made a representation before the RBI to seek clarifications on the concessional rate. The RBI is understood to have agreed to issue circulars giving more clarity on concessional loans, the official said. The government offers 2 per cent loan subsidy on farm loans, something that lenders fear may come to an end after the base rate is implemented. Banks cannot charge more than 7 per cent on agriculture loans. Similarly, in case of rupee loans to exporters, the government does not allow PSU banks from charging more than 2 percentage points below its the BPLR. Giving indication on the range, the Punjab National Bank said that the base rate would be between 8 and 8.5 per cent. Banks that have a high Casa (Current Accounts and Savings Account) ratio would be at an advantage because the cost of funds for those banks would be lower. The Oriental Bank of Commerce said that the base rate was likely to be between 8 and 9 per cent. 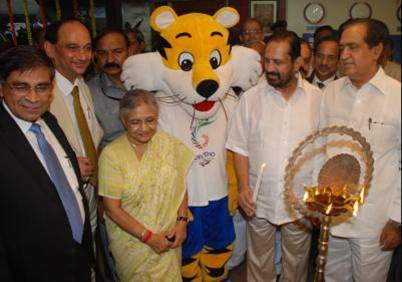 Delhi Chief Minister Sheila Dikshit inaugurated a state-of-the-art Commonwealth Games branch of the Central Bank of India at the CWG Organising Committee headquarters. Dikshit, while addressing the ceremony, appreciated the efforts of the bank to forge an alliance with the Commonwealth Games organisers for providing wholesome banking services to the players, officials and tourists from different countries. OC chairman Suresh Kalmadi also appreciated the bank's initiative. "The Organising Committee greatly appreciate the efforts of the Central Bank of India for forging this alliance and hopes they will create all the banking infrastructure to meet the requirements of the OC, visiting players, officials and tourists," Kalmadi said. Mr. S. Sridhar, CMD of Central Bank of India, Commonwealth Countries’ high commissioners, Board of member of CBI and senior officials of OC CWG Delhi 2010, Mr.Arun Kaul, Executive Director of the Central Bank of India, were present on the occasion. About 6,000 athletes from 71 countries and territories will participate in the Commonwealth Games to be held here from October 3-14. Central Bank of India on Friday said that it would come out with a rights issue in the next few months to raise Rs 2,500 crore. “That (rights issue) we are working out,” Central Bank of India Chairman and Managing Director Mr S Sridhar said after opening a bank branch at the headquarters of the organising committee of the Commonwealth Games 2010 here. He stated that the bank is planning to raise Rs 2,500 crore from the rights issue, which would be out in the next few months. Stating that the details are yet to be worked out, he said that they are required to obtain regulatory approval and complete other formalities before holding the issue. The Central Government holds about 80 per cent stake in the Central Bank of India. Hence, it will make a capital infusion of Rs 2,016 crore by subscribing to the rights issue. Another Rs 500 crore may be raised from existing retail shareholders and FIIs, who own the remaining 20 per cent stake in the bank. Last week, the government had announced a capital infusion of Rs 6,211 crore in five public sector banks, including Rs 2,016 crore capital support to Central Bank of India with the objective of raising Tier I capital of over 8 per cent. The Tier I capital of the bank is about 6.6 per cent, he said, adding that it will cross 8 per cent after the rights issue. With the infusion, the bank would be able to increase the balance sheet size by about 10-12 times of the amount raised by way of equity. Earlier this month, the government had infused Rs 250 crore into the bank to shore up the capital. Mr Sridhar said that though there is an upward bias on interest rate, it would not go up till July. Liquidity, which is tight this month, may ease next month as money would flow back into the system, he added. With the liquidity in the system gradually drying up, banks may jack up deposit rates to mobilise funds. United Bank of India has already hiked its deposit rates by 25-50 basis points effective Wednesday, while the other Kolkata-based banks are planning to adopt a ‘wait and watch' approach for now. United Bank of India has increased interest rates on domestic retail term deposits, below Rs 1 crore by 25 basis points to 6.75 per cent per annum from 6.50 per cent a year in the time bucket of one year-to-less than two years. For the five years and above, the interest rates have been increased to 7.50 per cent from 7.25 per cent at present. UCO Bank might not go for an immediate hike in interest rates, according to its Chairman and Managing Director, Mr S K Goel. The government today proposed to retain the income tax exemption for up to Rs 1.5 lakh paid as interest on housing loans in a year, a step that brings cheers back to home loan borrowers. The revised discussion paper on Direct Taxes Code (DTC), which would replace the decades old Income Tax Act, has retained the tax exemption for up to Rs 1.5 lakh paid as interest on housing loans. The revised draft is put up for public comments till June 30. Earlier in the first draft of DTC, the government was silent on incentive given to interest paid on home loans, leading to widespread fears that this sop would be withdrawn. The revised draft, however, is silent on exemption given on principal amount paid on housing loans. The first was also silent on this front. At present, borrowers can enjoy exemption on payment of principal amount. However, it is part of exemption to savings capped at Rs 1 lakh per annum. Interestingly, the 1st draft had proposed to revise this limit to Rs 3 lakh a year. The revised draft said the overall limit of deduction for savings will be calibrated accordingly. "In case of any one house property, which has not been let out, an individual or HUF (Hindu Undivided Family) will be eligible for deduction on account of interest on capital borrowed for acquisition or construction of such house property (subject to a ceiling of Rs 1.5 lakh) from the gross total income," the revised draft said. Please refer to our Circular No.82 dated 03.06.2010. 2. We are advised by our Delhi State Unit that in view of the XIX Commonwealth Games to be held at Delhi from 3rd to 14th October, 2010, to postpone Valedictory function of our Silver Jubilee Celebrations. It is very difficult to get suitable accommodation for stay and venue for meetings of affiliates during that period. We expect that strict security measures may also be imposed by the Government during the period. Hence, we propose to postpone all our activities slated for 5th and 6th October, 2010 to 22nd and 23rd October, 2010 respectively, at Delhi. We shall advise the venue for National Seminar on 22nd October, 2010; Special Executive Committee meeting and Valedictory function to be held on 23rd October, 2010 later. Affiliates may hold their special Executive Committee/Central Committee meeting on 22nd October, 2010. We regret for the inconvenience. One of the issues that was engaging our attention in course of discussions with the IBA is the removal of some of the anomalies that had come to our notice in the matter of fitment of salary in respect of the Clerical Staff promoted to Officers’ Grade and also the fitment in respect of Promotion from one Grade/Scale to another within the Officers’ cadre. We have to-day taken up these issues with IBA for issuance appropriate clarifications. A copy of our communication is enclosed. We thank you for the comprehensive guidelines issued in regard to implementation of the 9th Bipartite Settlement in respect of the Officers in the Banking Industry. During the course of our discussions, we requested IBA officials, to offer certain clarifications in respect of fitment on promotion from clerical to officers’ cadre and promotions within the officers’ cadre. a) The Workmen Staff promoted from Clerical grade to the Officers’ Grade should be given fitment based on their basic pay exclusive of all other components of pay such as the FPP, PQP, Graduation increments etc and adding the same after fitment in officers’ scale. If a clerical employee, passes CAIIB part I or Part II after reaching maximum in clerical scale and thereafter gets promoted to the officers’ grade, the promotee officer shall be first fitted into the officers’ scale as per the Fitment formula and thereafter shall be granted one or two increments as the case may be in the officers’ scale for passing CAIIB Part I/Part II. The exercise will avoid the inter-se anomalies. b) In so far as the FPP is concerned, the joint note states that it shall remain frozen for the entire service irrespective of whether the officer concerned is promoted to the next higher scale or otherwise. However after the 8th bipartite settlement, at our instance, a clarification was issued by IBA to the effect that if an officer is promoted from one scale to another after reaching the maximum in the previous scale and receiving the FPP the frozen FPP shall continue to be paid till the officer reaches the maximum in the revised scale and completes one year. Thereafter the FPP would be revised as applicable to the revised scale. We request you to reiterate the above clarification to enable the officers to get proper fitment of FPP in the payment of salary arrears. 3. There are other residual issues as well. We seek a separate meeting to discuss all those issues. As the above issues were discussed informally and there was a concurrence on the suggestions made by us, we seek your immediate clarification to enable our members to get the full benefit of the salary revision. 4. Please treat the matter as urgent. One of the issues that figured during the course of our Bipartite discussions in the recent past and also incorporated as an issue under the residual subjects by the Confederation in the Charter of Demands submitted to the IBA was the issue of the regulated working hours to the Officers in the Banking Industry. In view of paucity of time, the issue could not be pursued further at the time of conclusion of the 9th Bipartite Settlement. Hence, we have to-day sent a separate communication raising the issue with IBA for early resolution of the issue. A copy of our communication is enclosed. One of the issues that is under discussions with the Indian Banks’ Association for a long time is the need for fixing regulated working hours to Officers’ Community in the Banking Industry. The issue has also figured in the Charter of Demands submitted by the Confederation. Since the time available for discussions of the residual issues was not sufficient to finalize several issues listed out by us at the time of the settlement of the 9th Bipartite in the recent past, the Confederation suggested that the issue can be flagged for subsequent meeting. 2. The Officers are placed in a most disadvantageous position in the absence of prescribed working hours for them. The Management always claims that officers are not coming under the Shops and Establishments Act and hence not eligible for the extra compensation that they are legitimately eligible for their extra working hours prescribed under the Shops and Establishments Act. The Management has always been claiming that officers are part of the Management and there is no prescribed working hours for them. However, these perceptions were based on the Central Civil Service Rules which were adopted from the imperial regime. The Banking Industry is a service industry and the employees irrespective of the cadre are eligible for appropriate relief in terms of both the working hours as well as the compensation for the extra hours of work put in by them. 3. In the absence of the definite working hours being prescribed for the Officers, due to pressure of work they are made to work for almost 14 to 16 hours a day and there is no relief making them to suffer from fatigue and related problems. The Officers are compelled to sit late in the name of supervisory responsibility and completion of work and it stretches upto mid night in most of the branches. The Officers who are working in the interior parts and rural centers where the branches have a limited staff and the infrastructure is far from satisfactory will be subjected to all sorts of difficulties. Attending to office work on Sundays and Holidays has almost became routine for officers. They are deprived of availing leave for want of relief arrangements at branches. The Officers all over the country have been urging for definite working hours so that they can be in a position to enjoy the social life and can look into the problems of their domestic life such as children’s education, health of the members of the family etc. The tension that they undergo due to the vicarious responsibility they carry with their role is yet another factor which will affect their health condition. 4. It is in this background, the Confederation has been demanding that the IBA should settle the issue with the Confederation and fix definite working hours to Officers which is not unreasonable so that they are also in a position to have normal physical relief and can lead a healthy and tension free life. It is needless to add that, there is a need in the banking industry to take up the issue of manpower planning to fill up the existing vacancies of staff both clerical and supervisory and also to plan for the future. In the next 2-3 years, majority of existing staff will retire in normal course. Almost all Banks have ambitious plan of branch expansion. The business of the Bank is multiplying in leaps and bounds, without corresponding increase in the staff strength. This apart, banks are entering into new business activities. We, therefore request you to kindly look into the matter and take early decision in this regard. If required we are willing to discuss the issue further to substantiate the reasonableness of our demand and provide further inputs for your positive consideration of the demand. 5. Please treat the matter as urgent. We have been demanding introduction of 5 day week in the banking industry since a long time. This was one of the major issues included in our Charter of Demands and it could not be taken to the logical end during discussions on 9th bipartite due to paucity of time. However we had impressed upon the IBA, with all logic, to take the issue with the appropriate authorities for introduction of 5 day wee k in the banking Industry in tune with the changed scenario. We have to-day sent a communication to the IBA, a copy of which is enclosed. The Charter of Demands submitted by us in connection with the 9th Bipartite Settlement in the Banking Industry includes the demand for introduction of 5 day Week in the Banking Industry, an issue which is as old as that of the 2nd option on Pension. However, in view of paucity of time, the representatives of the Indian Banks’ Association could not devote much time for examining this crucial issue and take a positive decision along with signing of the 9th Bipartite Settlement. 2. The Executive Committee of the Confederation which met recently in Chennai, had an occasion to deliberate on the issue at length. The members were of the unanimous view that in the light of the revolutionary changes that have taken place as regards the technology initiative such as telebanking, internet banking, core banking, any time banking, anywhere banking etc. and also the banking expansion through a large ATM net work, there is a strong case for immediate consideration of the demand of the Confederation for introduction of 5 day week by the Indian Banks’ Association. There are several strong grounds, apart from the infrastructure now created by the Banking Industry which will not cause any harm to the customers in case 5 day week is introduced in the Banking Industry. The first and foremost reason is, the country will be saving a lot of natural resources by way of reduction in the use of fuel by lakhs of employees working in the Banking Industry, since they depend upon their own personal vehicles to attend office. This will also reduce global warming to an extent. Further, 5 day week will provide good health to our officers who are toiling without any rest almost 14 to 16 hours a day on account of increasing workload and business growth. The reduction of 2 hours of business on Saturday does not affect customers as almost all Banks have increased business hours by two hours per day from Monday to Friday. 3. At present all Central government establishments, RBI, Forex Department, Parliament, State Assemblies, Treasury, IT/BT industries and Western Countries observe 5 day week. Majority of State government offices remain closed on Second Saturday of the month. Therefore Banking Industry switching over to 5 day week will not make much difference. 4. We therefore request you to kindly look into our demand with a positive outlook and consider the introduction of 5 day week as it will go a long way in further strengthening our Banking Industry and delivering better results to the people of the country. A different practice is followed at bank level in the matter of grant of stagnation increment(s) to officers’. We have to-day sent a letter to the IBA (copy enclosed) for bringing uniformity in the matter, for your information. 2. We shall keep you advised of the developments. Stagnation increment(s) cannot be granted to those who are reverted to previous grade/scale. Similarly, stagnation increment(s) cannot be granted to those who refuse to accept promotion to next scale/grade, after selection. 2. We are receiving number of representations from our affiliates that, officers who remain absent in the process of selection for promotion are also denied stagnation increments, which is against the extant instructions. In case of workmen employee, who is eligible for promotion on the basis of eligibility criteria fixed by the Bank but who does not apply for such promotion would be entitled for stagnation increments. Further, where an employee who has been called for written test and/or interview will also be entitled for stagnation increments. However, where an offer is made by the Bank for promotion and the employee refused such promotion, he would not be entitled to such increments after such refusal. 3. We, therefore request you to issue necessary clarifications on grant of stagnation increments, that only in case of those who refuse to accept the promotion after selection or seek reversion on promotion be denied of stagnation increment but not merely for not participating in the process for promotion. One of the issues that has been taken up by the Confederation with the IBA is to provide an opportunity to all those who left the service under resignation/voluntary retirement other than the special scheme introduced by the Bank, the benefit of the Pension Scheme, since the Pension regulations do not include these category of officers. We have therefore sent an appropriate communication to IBA seeking relaxations in the Pension Regulations to include all such cases which come under the minimum qualifying service for Pension eligibility under the scheme. The IBA is yet to respond. We need to follow-up the issue together so that a large number of employees who left the banks’ services by way of resignation but have completed the minimum years of pensionable service for the purpose of Pension, as in the case of the Pension optees. 2. We are now given to understand that some of the CPF Optees are putting in their papers for voluntary retirement without being conscious of the implications of such acts on their part although they have completed the minimum qualifying service under the Pension Regulations. All such members are requested to await the implementation of the 2nd Option on Pension Scheme, the process of which involves, issuance of the Notification, acceptance of the offer and completion of the formalities of transfer of Provident Fund balance accumulated in their accounts as per the understandings before venturing to submit their papers presumably under the impression that they would be eligible to Pension benefit in the normal course. 3. This communication is meant to alert all such members who are not aware of the extant provisions and may be submitting their papers under the impression that Pension will be automatically extended to them once the 2nd Option on Pension Notification is issued, since they were on the rolls of the banks on the date of signing the settlement. It is better to await until the formalities are completed rather to take the risk of getting into technical wrangles at a later date. 4. All our affiliates are requested to keep their members properly informed to avoid difficulties to all such members at a later date. The current rate of reimbursement of fuel to Officers who use their own vehicles for the official purpose was fixed long back. The fuel prices were revised on several times. We raised the issue during the course of our discussions at the time of the 9th Bipartite Settlement. The IBA had agreed to look into these aspects at the time of the issuance of the detail guidelines for the implementation of the salary revision. As there is no reference to these aspects, we have to-day send a communication to the IBA on the subject. A copy of our communication is enclosed. The Offices are permitted to use their own vehicles two/four wheeler; for the purpose of official use on duty from one place to another. The reimbursement is made on the basis of the distance covered by way of calculating rate per kilometer. The current rate was fixed long time back. Since then a number of price hikes have taken place in respect of the Petrol, Oil and Gas, thus resulting in our officers being out of pocket while using their vehicles for the official purpose as per the extant instructions. 2. The issue was brought to the notice of the representatives of the IBA in course of our discussions on Salary Revision as well as the conclusion of the 9th Bipartite Settlement. The IBA agreed to look into these aspects in a sympathetic and positive manner. 3. Now that the IBA has come out with comprehensive guidelines for implementation of the 9th Bipartite it is time to look into other issues of importance and significance. As the issue of reimbursement of cost of travel as detailed above has not been specifically taken care, we seek yourintervention and advise as to the revised rates for reimbursement of the cost of travel in respect of the own vehicles used by our Officers during their official duties. We have to-day addressed a communication to the Chairman, Indian Banks’ Association, Mumbai suggesting that a permanent structured forum should be established at industry level wherein both the representatives of the IBA and the Confederation can discuss issues that are of paramount importance for the industry as well as our fraternity. A copy of our communication is enclosed. One of the issues that has been engaging the attention of the Confederation and often referred to in our discussions during the bipartite meetings is the need for a well structured Forum at the IBA level wherein the representatives of our Organization and also the Indian Banks’ Association can take up all other issues at periodical intervals and arrive at a solution that would strengthen the banking industry. 2. The present bilateral relationship that exists between the Confederation and the Indian Banks’ Association is largely connected with the Salary Revision and the related issues once in 5 years. There are several issues which need a solution at the industry level in the interest of maintaining cordial industrial relations in the banking industry on a continuous basis. The leadership of the Confederation during their interaction with the officials of the Indian Banks’ Association as well as the Chairman and other representatives of the IBA have been suggesting that the IBA should create a separate structure with the sole objective of bringing all those issues which are equally important for the Officers’ Fraternity as well as the Managements of the Banks and are common in nature which can be discussed in these forums and the bank level frictions can be avoided on several sensitive issues. 3. The IBA is bringing several issues under the heading “Management Issues” for discussion in the Bipartite Meetings meant to improve the compensation system in the Banking Industry. The half-hearted attempt to involve the Confederation on certain HRD and Personnel area initiatives by seeking their views by the various committees appointed by the IBA has also proved a futile exercise on a number of occasions. Any initiative in the area of HRD cannot be an exclusive domain of the Indian Banks’ Association since it is concerning those who are working in the Bank and it is meant for them. Hence without active participation by the Confederation representing the entire Bank Officers’ fraternity is bound to raise several issues when it comes to the question of implementation of those reports prepared by the Committees appointed by the IBA. The recent example is the Committee set up under Chairmanship of Dr.Khandelwal in regard to the HRD initiatives. They were more interested in doing an academic study and coming out with their theoretical report rather than involving the representatives of the Confederation which truly reflects the experience of the Officers’ fraternity in the banking industry. The Confederation being the sole representative of the Bank Officers’ fraternity representing more than 85% of the Officers working in the industry is capable of providing the full benefit of its expertise. It would not only benefit the Officers but the industry as well in the long run. Unless, a conscious attempt is made to have a regular structure for the purpose, our exercise interacting with the various committees appointed by IBA will be of a mere formality. 4. The issue of formation of a meaningful structure is not the new one. It is under discussions since almost a decade, and several issues other than the Salary Revision were discussed under separate meetings. One of the issues that was effectively tackled was the problems of the Officers who are brought under the Vigilance net on the basis of the earlier guidelines. It is due to the joint efforts of both the Confederation and the Indian Banks’ Association; certain nominal relief could be obtained from the Government, in introducing a separate chapter for banks in the vigilance manual. Earlier, the issues such as the categorization norms, the recruitment of the employees in the industry, the friction that developed due to the intervention of the RBI etc., in regard to outsourcing were discussed bilaterally. 5. The 9th Bipartite Settlement as well as the 2nd Option on Pension settlements have now been by and large concluded and being implemented. We have now sufficient time to concentrate on various other issues which are very sensitive and potential of creating industrial unrest in the banking industry if not addressed in time and appropriate solutions are not found to those issues. 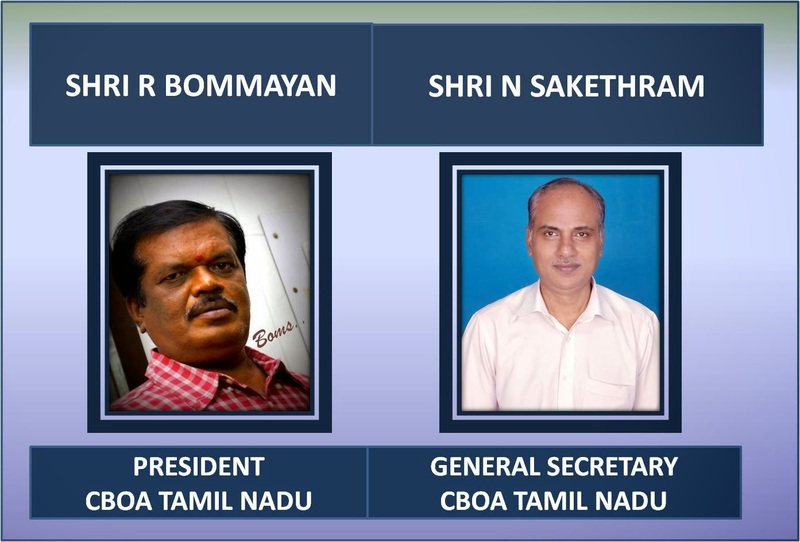 Hence, we strongly suggest that the IBA should consider our demand for an exclusive forum for discussions on all other common issues and arriving at a solution through open dialogue between the representatives of the Confederation and also the representatives of the Indian Banks’ Association. Hence, we request you to initiate creation of a separate structured forum at IBA level for continuous discussion on the common issues. Please refer to our Circular No.79 dated 1st June, 2010. 2. In view of additional material added in the booklet of 104 pages, which contains comprehensive information as regard Bank Employees Pension Regulations and calculation of contribution towards 2nd Option on Pension etc., the rate per copy of booklet has been revised at Rs. 70/- (Rupees Seventy Only) per copy (postage extra). 3. We request the affiliates/members to place their indent at the earliest. The amendment to the Payment of Gratuity Act 1972 enhancing the ceiling from Rs.3.5 lacs to Rs.10 lacs was a welcome move. But the date of effect has caused a serious heartburn amongst thousands of officers who have retired with effect from 1.1.2006 since the date of effect has been made as 24th May 2010, an arbitrary decision on the part of the Government. We have to-day sent a communication to the Government reiterating our demand for extending this benefit in Banking Industry with effect from 01.01.2006. A copy of our communication is enclosed. The Banking Industry is considered as an extended arm of the Government machinery both in respect of its functioning and their responsibility towards the Nation. The workforces involved in the administration of the Banking Industry are similar to that of the Government workforce except that they are recruited by the Government. Whereas the workforce in the Banking Industry is recruited by the respective managements of the Banks under the guidance and directions of the Government from time to time. 2. The service conditions governing the Bank Officers are still much closer to that of the civil servants. The salary and other benefits are no doubt negotiated at the industry level by the Confederation and other organisations but it is ultimately approved and cleared by the Government of India since the Government is the absolute master as far as the Officers’ fraternity in the banking industry is concerned. It is in this background; whatever the schemes that are brought in the Government in the matter of service conditions are being introduced in the Banking Industry either through negotiations or by persuasion from time to time. The recent classical example is the introduction of the New Pension Scheme as available to the Central Government employees to the Bank employees as well under the 9th Bipartite Settlement plus 2nd option on Pension agreements. 3. It is in this background, we need to examine the recent developments in regard to the Payment of Gratuity Act. The ceiling of the gratuity was enhanced from Rs.3.5 lacs to Rs.10.00 lacs due to the recommendations of the 6th Pay Commission which is responsible for bringing revolutionary changes in the superannuation scheme including the improvements in the Pension Scheme. In fact, the Government went one step ahead and decided to grant the enhanced gratuity to their employees with effect from 1.1.2006 since it was the date from which the 6th Pay Commission was implemented. As the time available was short for obtaining the approval of the Parliament for the enhancement of the Gratuity Ceiling under the Act, the Government by issuing an administrative notification provided the improved Gratuity benefit to their employees all over the country. As a model employer, the Central Government did a right thing which raised the hopes and expectations of all other sections of the workers more so the Public Sector units including the banking industry. The Reserve Bank of India emulated the example of the Government thereby confirming our faith and belief that the Bank employees are also bound to get a similar treatment from the Government since there is already a precedent in respect of the employees of the Reserve Bank of India. 4. The Confederation was the first organization to approach to your goodselves and also to the Finance Minister and submitted a Memorandum for taking care of the interest of the employees in the Banking Industry. We were given a patient hearing and also sympathetic response that the issue will be resolved and the amendment will be moved making sure that the date of effect will be retrospective one. When the amendment got the approval of the Parliament, our hopes were dashed, since there was no mention of date of effect; rather the Law Ministry issued a Gazette Notification saying that the date of effect will be decided by the Central Government. When we established contact with the departments concerned at the Center, there were again sympathetic attitudes towards our legitimate demand that the employees in the Banking Industry should be treated on par with the Government employees as well as the workforce of Reserve Bank of India and the benefit of the enhanced gratuity should be made effective from 1.l.2006. 5. However, the Gazette Notification issued from the government came as a bolt from blue. We have been getting anxious enquiries from all parts of the country on date of effect and there is a lot of frustration brewing all over the country. An individual who retires on 23rd May 2010 or earlier from the date of 1.1.2006 gets a Gratuity of Rs.3.5 lacs whereas the one who retires on or after 24.5.2010 gets a Gratuity of Rs.10 lacs nearly a difference of Rs.6.5 lacs in the superannuation benefit of the workforce in the Banking Industry, which is quite substantial. 6. We, therefore request you to initiate necessary administrative action to treat officers working in Banking Industry, at par with Government employees, in respect of date of effect of enhanced ceiling on gratuity. We are happy to inform all our members that the concluding part of our settlement that is the implementation of the 9th Bipartite Settlement entered into between the Confederation and IBA for its implementation, pending amendment to Officers’ Service Regulations have since been received from the Government. The IBA has already issued communication to the Member Banks to implement and pay the arrears of salary as per the settlement reached with us. The IBA has also further instructed the banks to be in preparedness for the introduction of the 2nd Option on Pension since the formalities of getting approval from Government is in process. 2. Comrades, the long drawn struggle, the continuous process of dialogue, the discussions and the conclusion of the agreement on the salary revision as well as the 2nd Option on Pension is a historical development in the Bank Officers’ movement. This glorious chapter comes to an end with a happy note of the implementation of the 9th Bipartite immediately and the 2nd Option on Pension in due course. We will also keep our pressure on to ensure that the instruction for the implementation of the 2nd Option on Pension is received at the earliest from the Government to enable our members to avail the benefit. Our affiliates are advised to take up with their respective management and see that the salary arrears as well as the implementation of the revised salary scales are implemented at the earliest possible. 3. Please also note to collect the levy amount as already advised and remit the same to us as early as possible. We are happy to inform you that, at affiliate / State level, Silver Jubilee celebrations of the Confederation are taken up with all zeal and enthusiasm. As decided in the Silver Jubilee celebrations Committee Meeting held at Bangalore on 17.02.10, the Inaugural Session of the Silver Jubilee celebrations was held at Chennai on 24.4.10 in a befitting manner. 3. We also propose to hold the following programmes on 5th and 6th October 2010, at Delhi. a) Affiliates are requested to hold their Working /Executive Committee meeting on the forenoon session on 5th October 2010, to enable their office bearers to participate in the National Seminar on the evening of 5th October 2010 and the valedictory function of Silver Jubilee Celebrations of the Confederation on 6th October 2010.
b) The AIBOC State Unit of Delhi will organize social welfare activities on 5th October 2010 along with a National Seminar on “Role of Trade Unions in the era of Globalization”. c) The Special Executive Committee Meeting of AIBOC will be held on 6th October 2010 at 10.00 AM. 4. A Sub-Committee consisting of the following office bearers along with Com. B.S. Ravindra, Convener of the Silver Jubilee Celebrations will guide all the programmes of the Confederation at Delhi. 6. We are confident that the valedictory function of the Silver Jubilee celebrations will be another landmark in the history of our Confederation. 7. It is needless to remind our affiliates /State Units to complete their Silver Jubilee Celebrations positively before the middle of September 2010. As per the settlement reached in respect of the 2nd option on Pension, the legal heirs of employees who have already retired are eligible for Pension as Family Pensioners. They are also required to return the Provident Fund balance along with 56% of the amount as their share towards the Pension Fund. In view of the meager Pension that they would be getting and also the non-provision of the commutation facilities, they are placed in a most disadvantageous position. Hence, we have sent a communication to IBA requesting them for providing certain relief to them. A copy of our communication is enclosed. c) Any other suggestions that may emerge during the course of meeting on the subject to provide necessary relief. 2. We therefore request you to kindly look into the matter and convene a meeting exclusively on the subject to resolve this vexatious issue. We are happy to inform all our members that, the Government has since cleared the proposal sent to them for the in principle clearance for the implementation of the 9th Bipartite Settlement reached between the Confederation and the IBA on 27.04.2010 pending amendment to the Service Regulations. We were receiving anxious enquiries from various parts of the country about the approval of the Government in particular when some of the banks have already implemented revised salary and allowances to the Award Staff. With this clearance, we are confident that the payment of the arrears of salary and allowances in respect of the Officers’ fraternity is also ensured at the earliest possible. 2. As regards the various formalities in relation to the 2nd Option on Pension, as well as the Notification etc., our members are requested to await further detailed instructions from the IBA. 3. In the meanwhile, all our affiliates are requested to follow-up with their respective bank’s managements and ensure that the arrears are paid at an early date. In response to the requests received across the country on the details regarding the 2nd option on Pension and the inputs that have gone into the agreement signed on 27th April 2010, we have come out with a booklet on the subject of 2nd option on Pension. The major thrust has been given to emphasize the need for going in for 2nd option on Pension as an advise by the Confederation by providing necessary inputs and information that may comfort our members both serving as well as retired and also the family members of the deceased retirees to exercise the option. 2. The booklet also provides various aspects connected with the methodology of exercising the option and also the amount that has to be refunded to the banks as part of the contribution by the optees as well as the circumstances under which some of these conditions were accepted by the United Forum of Bank Unions, so that a dispassionate view can be taken about the judgment of the leadership of the Confederation as well as other affiliates in coming together to clinch this agreement. 3. We are confident that our members will be richly benefited by this publication. The copies are available on sale. The booklet is priced at Rs.50/- plus 20/- for postage charges. 4. The affiliates/state units who are interested to get the bulk supply may contact the office of the Confederation and book their copies to avoid last minute disappointment. Regulation No.10 of Bank Employees Pension Regulation 1993 disqualifies resignees for the pension benefit. There is no provision in service conditions for CPF Optees to retire even after putting 20 years of service. Hence, they are left with no choice but to resign, if they want to leave the Bank before attaining superannuation. 2. The IBA has agreed to offer 2nd Option on Pension to all existing CPF Optees as well as those who have retired/died from 1993/95 to 27.04.2010, on certain terms and conditions. But those, who resigned from the Bank service, before attaining the age of Superannuation, are excluded from the offer, as it requires amendment to the existing Pension Regulations. We are flooded with requests from such resignees to consider them also for 2nd Option on Pension. 3. We have today sent a letter to the Chairman IBA, a copy of which is enclosed. We shall advise the outcome in due course.